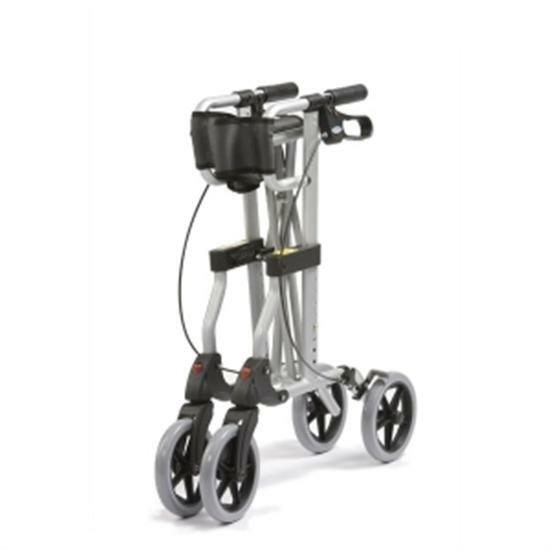 If you’re looking for a stylish modern designed wheeled walker, with a folding cross brace for security and convenience, then the Diamond Rollator might just be what you’re after. Its excellent folding mechanism makes it compact, and a removable carry bag means it’s easy to take your bits and pieces with you. 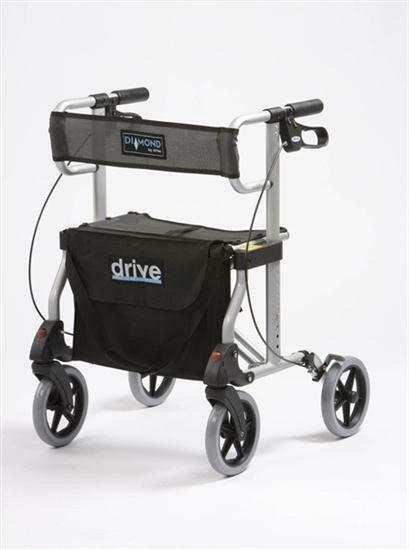 Other features include height adjustable handles, with soft comfortable hand grips and tool free removable front and rear wheels. Loop lock brakes and large 8” casters for indoor and outdoor use mean that the Diamond truly is portable and manoeuvrable. And with a durable mesh backrest and a comfortable mesh seat, you can have a rest whenever it suits you! Lovely strong yet lightweight walker, easy to adjust height. 5 stars for fast delivery too.